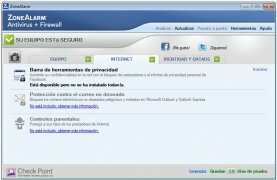 ZonaAlarm Antivirus is a powerful antivirus that will protect you against any dangerous interference on the system. 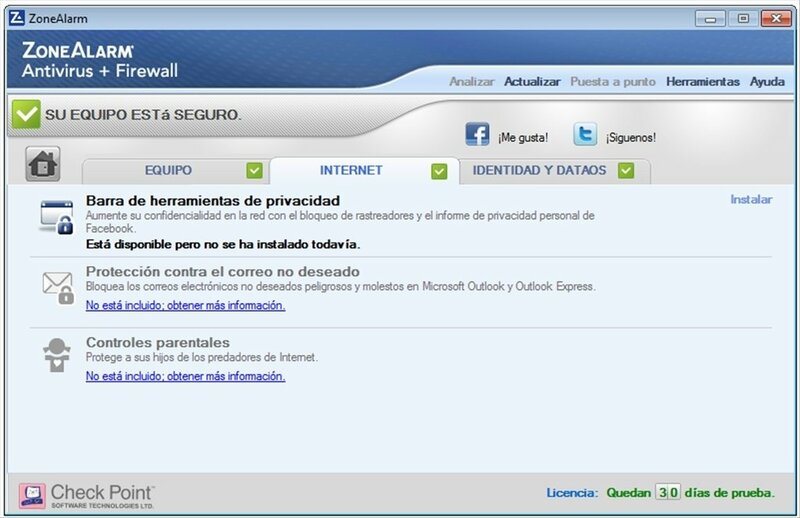 It is an advanced security server that blocks the invasions that can take place on the computer. 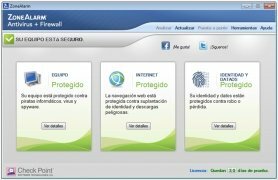 This antivirus offers protection against spyware so that you can be at ease knowing that you are protected. With a very intuitive and easy-to-install interface, ZoneAlarm Antivirus has preventive protection functions, to avoid the damage before it happens. It scans the files that you receive by email that may be dangerous, and it places them in quarantine until its security system has checked them. It also prevents any hacker accessing your system. 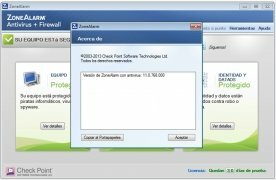 ZoneAlarm Antivirus offers you security against viruses, trojans, worms and any spyware application. 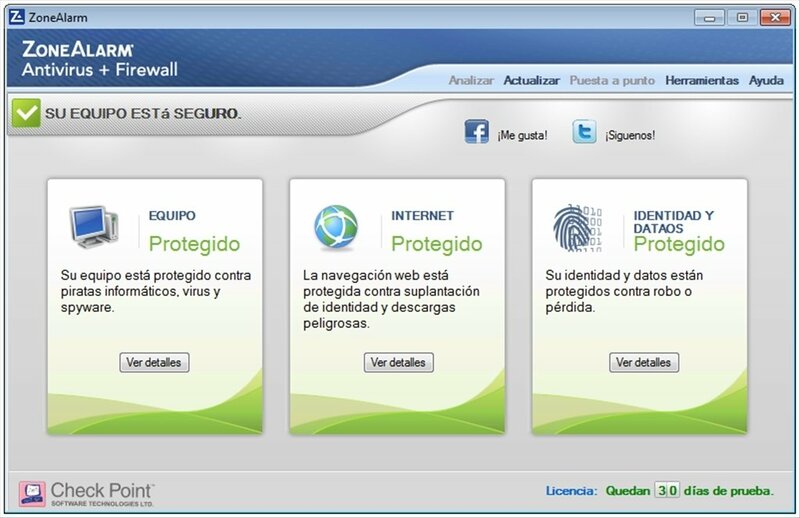 Very easy to configure, you will be able to adapt the protection level to your needs. The SmartDefense Advisor function automatically adjusts the security values and configures the access of the programs each time there is a notification. 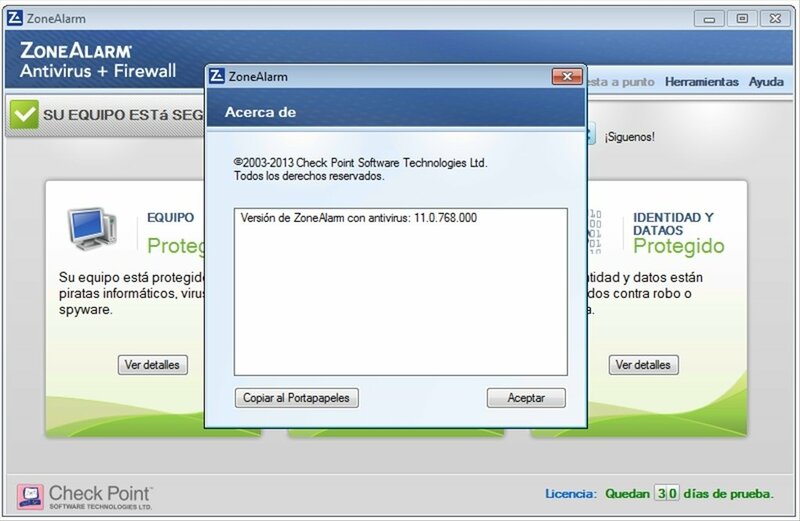 Try out ZoneAlarm Antivirus, and you'll see how it becomes your favorite antivirus. This download requires an Internet connection to install the program.